This Portfolio page is to give some context on what you might find. The first page Graphic Design will have logo design, advocacy posters, packaging, and more while the Design Elements page contains digital paintings, architecture, image manipulation and more. The image above is 101 illustrations of a pea pod and peas. It shows that I can make anything into any number of styles. This is my resume that I created and to get a copy just click on the link. 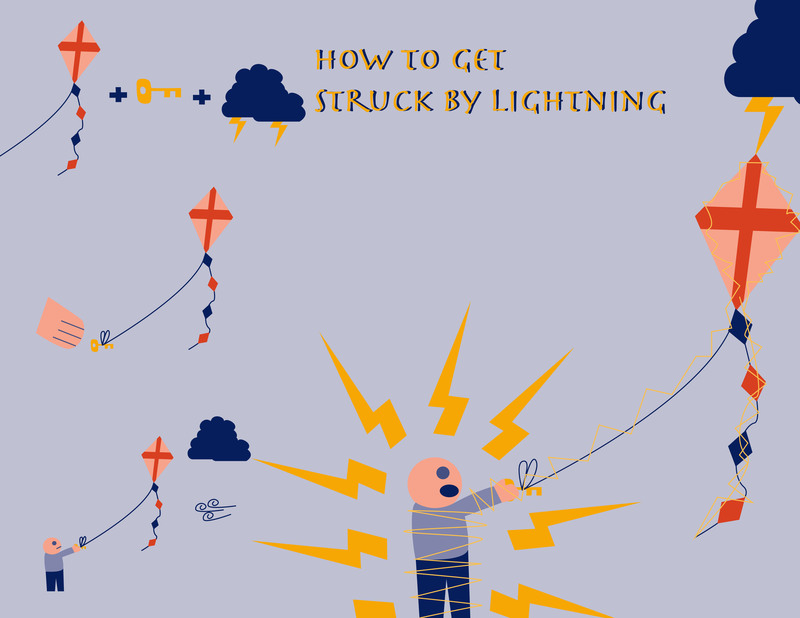 In this how to illustration I use nothing but images to convey instructions on how to get struck by lightning. Created in Adobe Illustrator. Joel Avila Design Blog at WordPress.com.